She attended two Air Force secondary schools one in Jos and latterly in Ibeja, Lagos. She briefly attended a university in Nigeria before she left to study, at her father's request, Criminal Justice in America. This was not a success so she left after two years to study French Education at Delaware State University. Omeruah is a linguist and speaks a number of languages. She returned to Nigeria after twelve years in America. She initially became a singer under the name C-Flow but this has been subsumed by her characters - principal of which is Chigul. Chigul speaks in a strong Igbo accent. Chigul was first heard as a recording of the song "Kilode" sent by Omeruah to her friends but the sound was soon re-sent around Nigeria. Omeruah has twelve characters but she is known as "Chigul" after her most well-known invention. She has been interviewed and lauded by a number of media outlets. 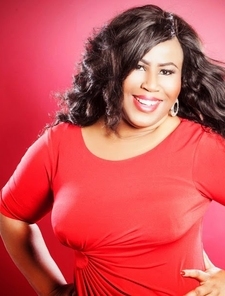 She had given a TEDx talk and appeared as a character in the Nollywood film, Road to Yesterday. In 2015 she appeared as a guest on the single "Karishika" by Falz.